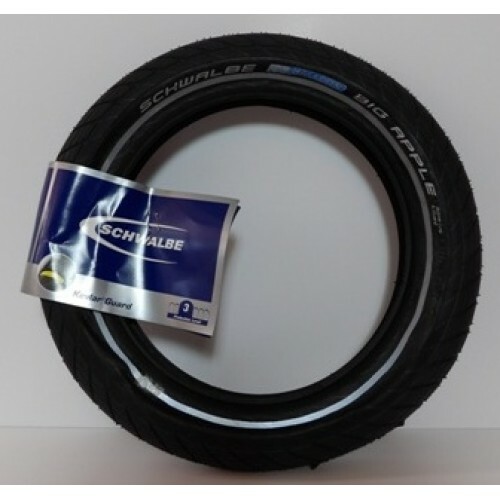 Home » Wheels » Sinclair C5 Full Set of Schwalbe Front & Rear Tyres & Inner Tubes 1 x 12" & 2 x 16"
Schwalbe "Big Apple" urban tyres with air suspenion built in. 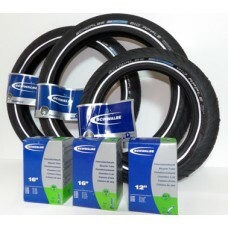 After a lot of research we have found these tyres to be the current choice of preffered tyre for the Sinclair C5. 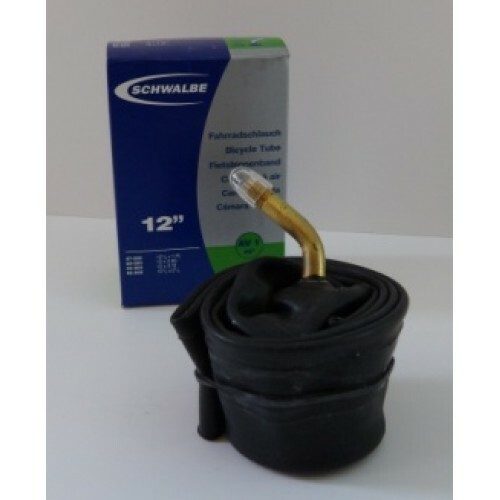 Schwalbe "The Big Apple stated off the balloon bike trend ten years ago: Comfortable cycling without using complicated technology. Air cushion tires are used as natural suspension. Inflated to around 2 bar a balloon bike rolls really easily and with a full suspenion effect. A normal tire with a width of 37mm mus be inflated to a rock hard 4 bar, in order to roll similarly well." The Big Apple has a puncture protection level 4 and are E-Bike ready up to 25km/h. 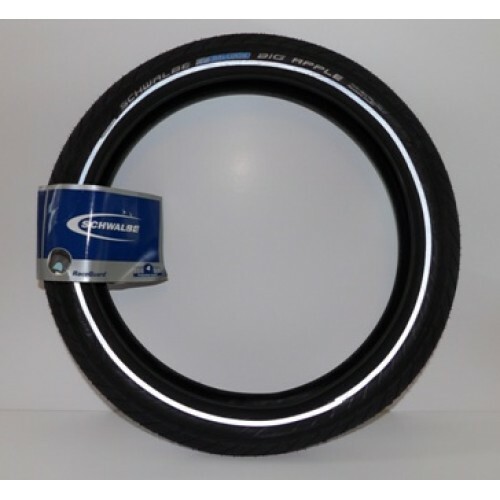 This makes them the perfect tire for a Sinclair C5 as they have been designed to work with motor assisted bikes. 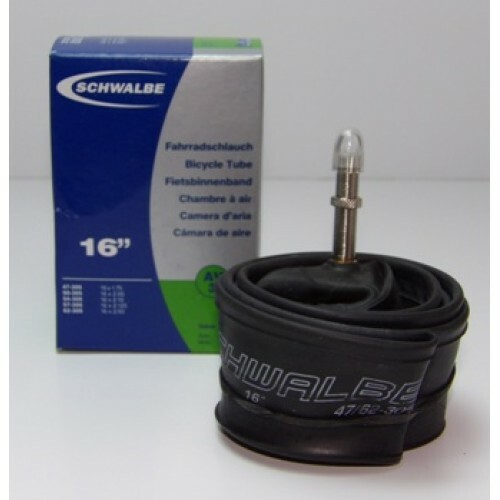 Price is for one front tyre and 2 rear tyres and 1 front inner tube and 2 rear innertubes only and includes postage to a UK address only. For international or european orders please contact C5Alive for shipping costs.